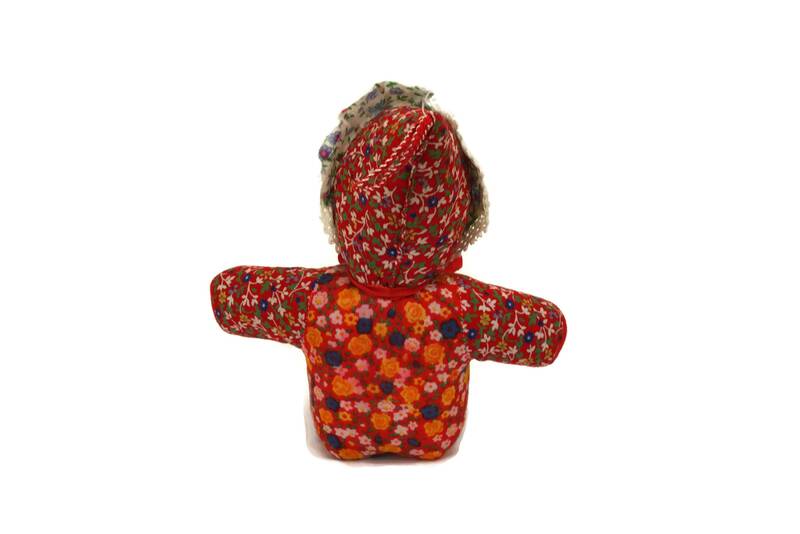 Item ref: Rag Doll with Rubber Face. 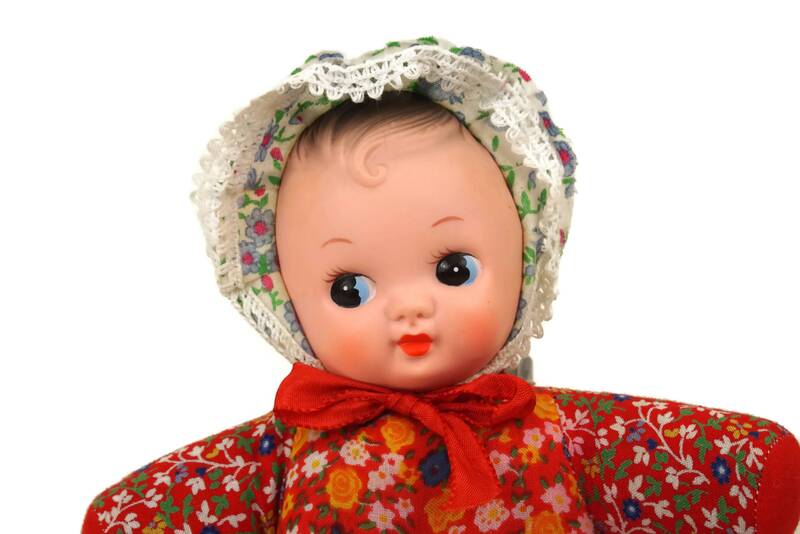 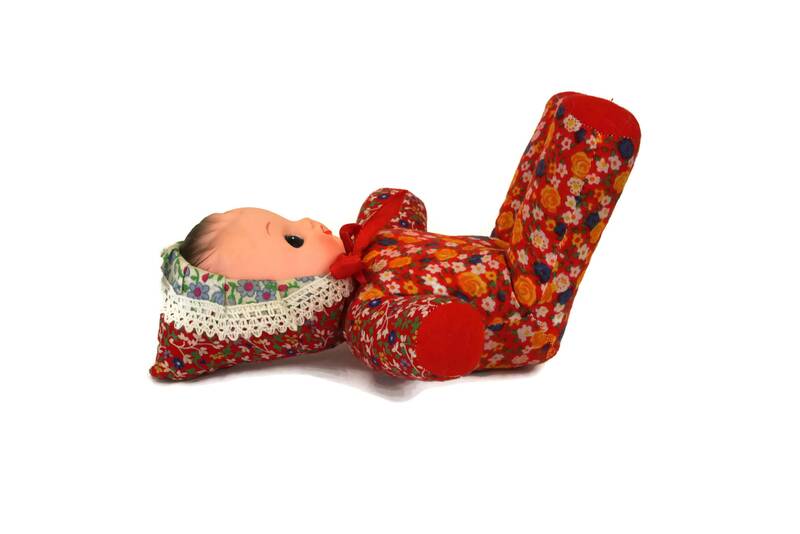 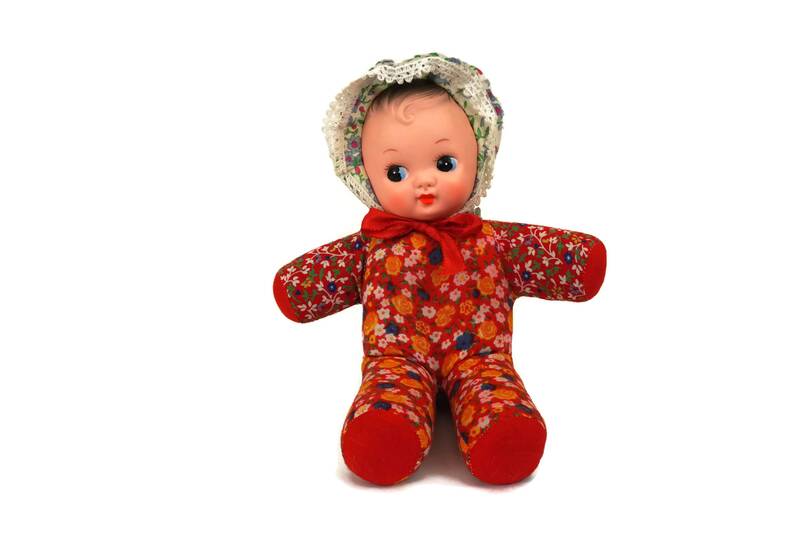 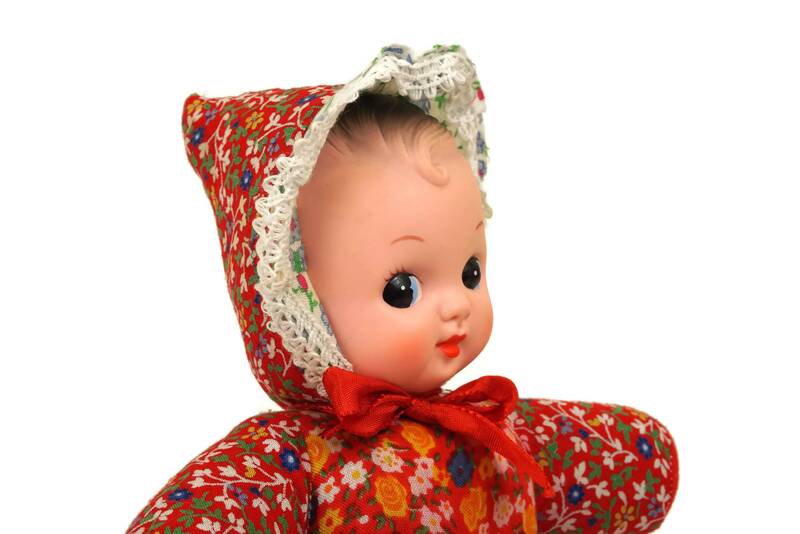 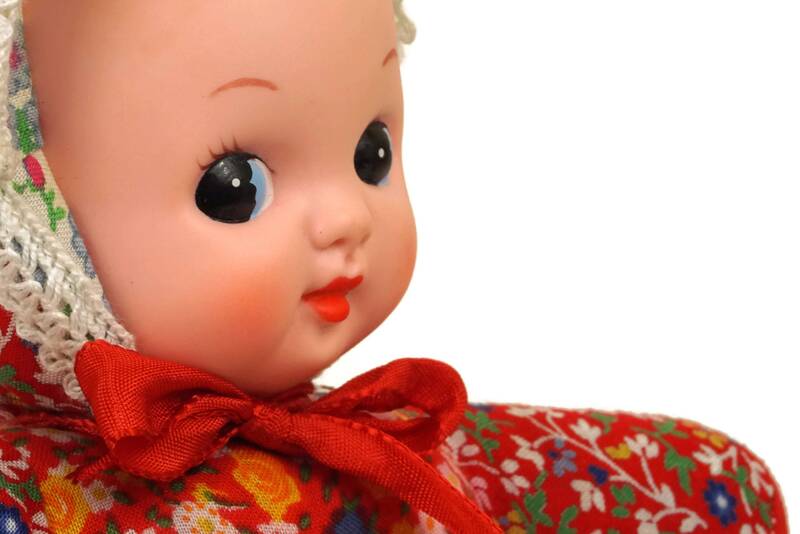 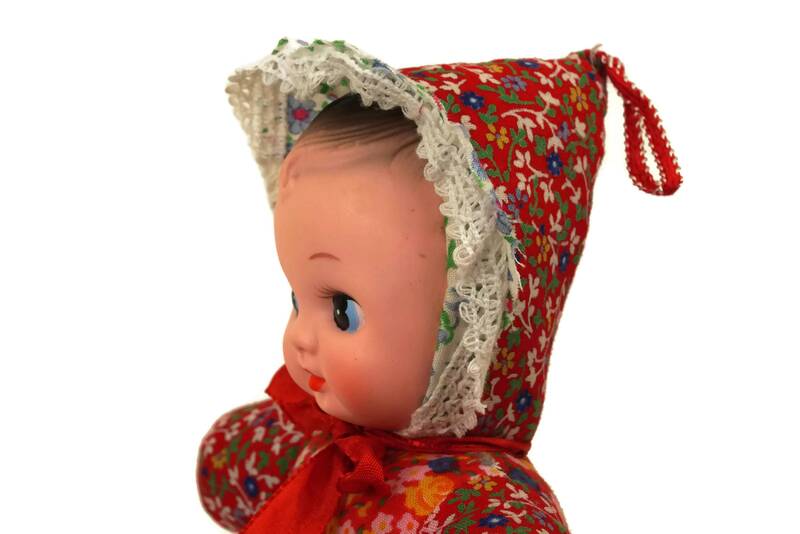 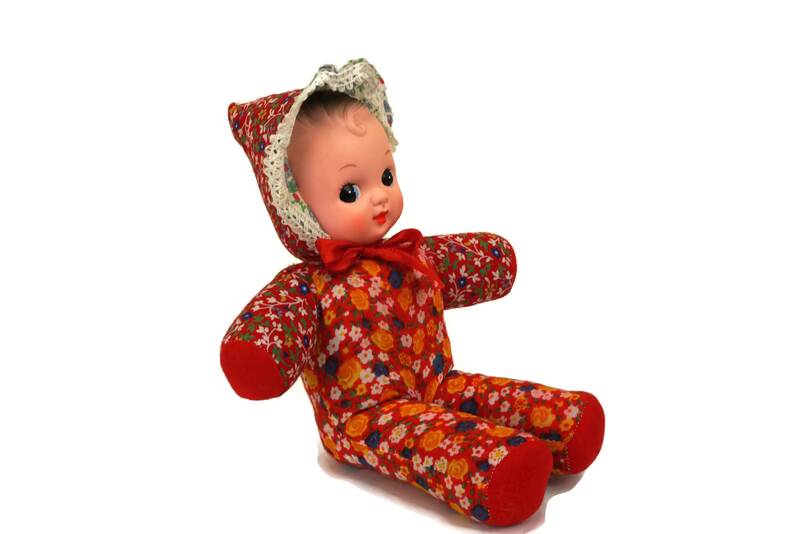 Vintage French Squeak Cloth Doll. 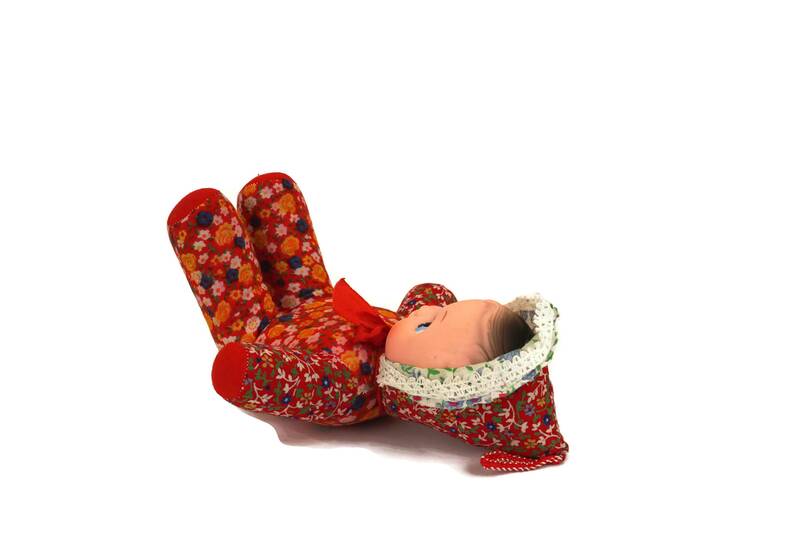 Baby Figurine. 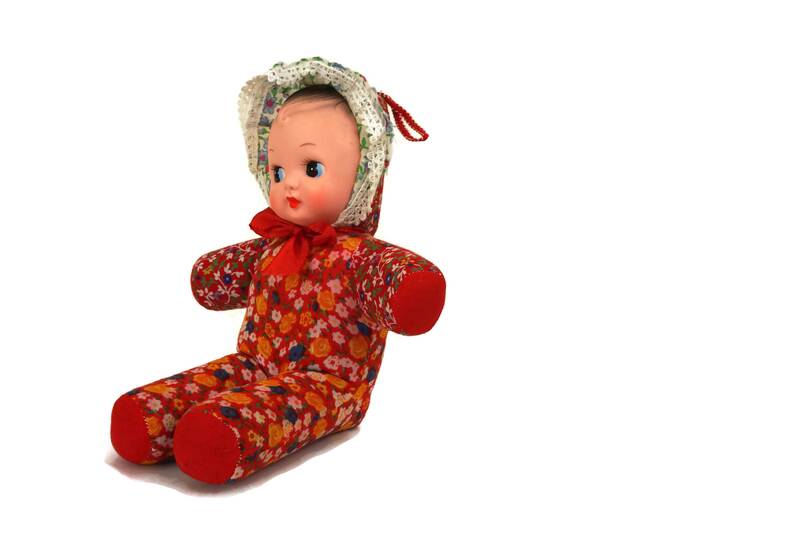 1970s Nursery Decor.